No-Bake Snickers Pie – A rich creamy peanut butter pie with Snickers candy bar dessert and caramel topping. Perfect for warm Summer nights! We’re going camping tomorrow. Wish us luck! Yeah, we might be a bit crazy to tackle that with a dog and a 7 month old but we are up for the challenge. Plus we are approaching it cautiously by only going 1 night and going to Pillsbury State Park, a campsite that we have already been to so we know exactly what to expect there. One of the things that I am really looking forward to is being able to walk all around the camp grounds with Autumn and get to show her the lake, streams, and a waterfall too. We did a hike there last year when I was 6 months pregnant so it will be fun to do it now with Autumn. Hoping to be much faster this time! While we’re roughing it this weekend, you should be cutting yourself a slice of this pie. You can easily whip it up while not turning your oven on in this summer heat! Isn’t that just the best thing ever? Pie and you don’t even need to get your kitchen hot!! Plus, it’s LOADED up with pieces of Snickers. SNICKERS!!! When I was at summer sleep away camp we could buy treats in the afternoon at the general store. Occasionally Every day I would get a Snickers bar to take out to the four square court. As I waited in line I’d eat my melting Snickers and right before it was my turn I’d shove that wrapper into my shorts pocket before I dominated played the game. Since then I’ve loved Snickers. I can’t keep them in the house because they call to me from the refrigerator. Which is exactly why after Price and I each enjoyed a slice of this pie I emailed our dog walker telling her that there was a pie in our freezer for her to take. I had to hit send on that email quickly before I thought twice and considered eating it all myself. I hope her family enjoys it just as much as we did. And I hope you do too! Butter the bottom and sides of the pie plate. Set aside. In a food processor, finely process the cookies until you produce a fine crumb. Add the melted butter and mix to combine. 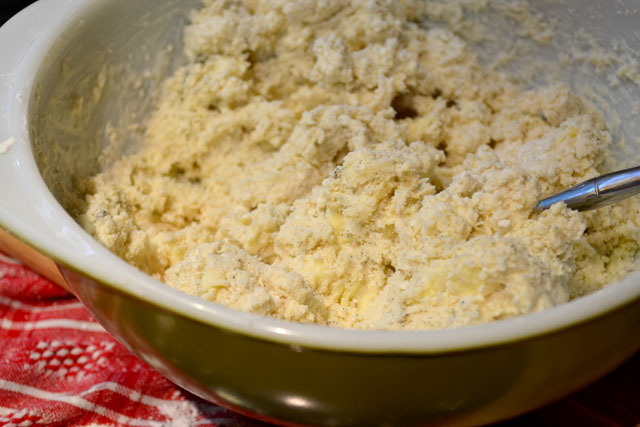 Using your fingers, press this mixture into the pie plate and up the sides. Place in the fridge to harden. In the bowl of a stand mixer, whip the cream until it forms firm peaks. Transfer to a large bowl, and set aside. Using mixing bowl you had perviously whipped the cream in, beat the cream cheese, sugar, peanut butter, and vanilla extract until it becomes smooth and creamy. Scoop out dollops of the peanut butter mixture onto the bowl with the whipped cream. Gently fold together until there are no more streaks, but be careful not to over mix deflating the filling. Remove the pie plate from the fridge and pour a thin, even layer of the caramel over the crust. Scoop the filling onto the caramel and evenly smooth out the top. Return to the freezer . Remove the pie from the freezer and pour the ganache over the top. 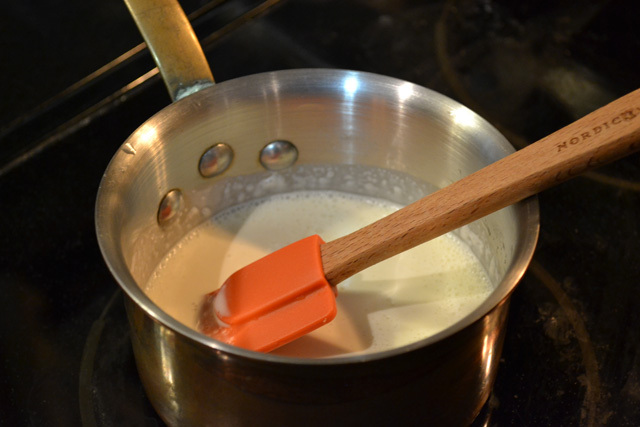 Smooth the surface with an offset spatula. Spinkle the chopped up pieces of Snickers bars on top, then gently press into the warm ganache. Drizzle the caramel sauce on top and return to the freezer for at least 30 minutes. Prior to serving, place the pie into the refrigerator for at least 30 minutes to make cutting and serving easier. So I’m still addicted to peaches. I don’t know what I am going to do when they are out of season. I’ll be super sad and probably still buy them and pay too much for out peaches shipped half way around the world. All because I’m pregnant and must have peaches on the daily. When I recently checked the NASCAR schedule to see what recipes I would be making soon for the upcoming race for my Sprint Cup Snacks posts, I got really excited for the Atlanta race this weekend. Peaches just jumped out to me so I could not resist! Oh man, I had so many peach recipes dancing through my head! I toyed around with everything from muffins to a dessert pizza topped with a cream cheese drizzle. (Still thinking about that last one!) 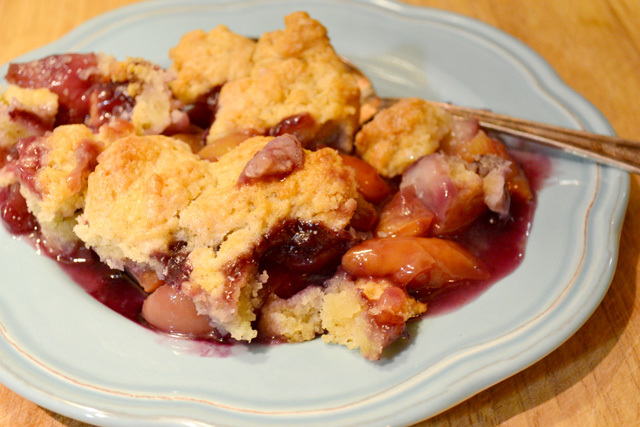 But in the end I found this Peach and Blueberry Cobbler that had my name all over it. Nice mash up of the North and South with the Blueberries and Peaches. 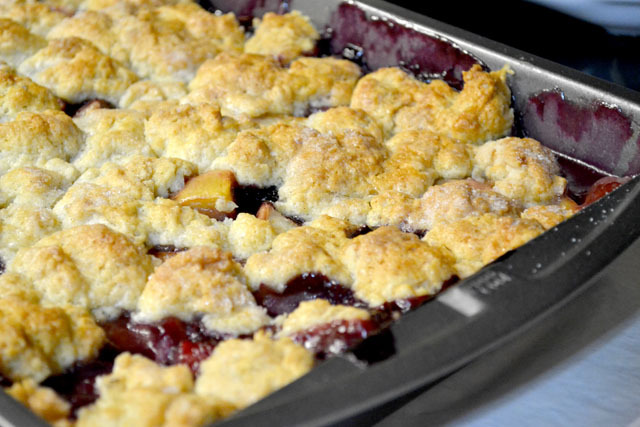 Plus cobbler is just super simple to make so you really have no excuse not to make one. No excuse. I suggest you take a bit of time before dinner (or this weekend’s race at Atlanta Motor Speedway) to make it so it is hot and ready for when you are looking for dessert! Doesn’t hurt to serve with some vanilla bean ice cream or whipped cream. Preheat oven to 375 degrees. Place the racks in the in upper and lower thirds of the oven. 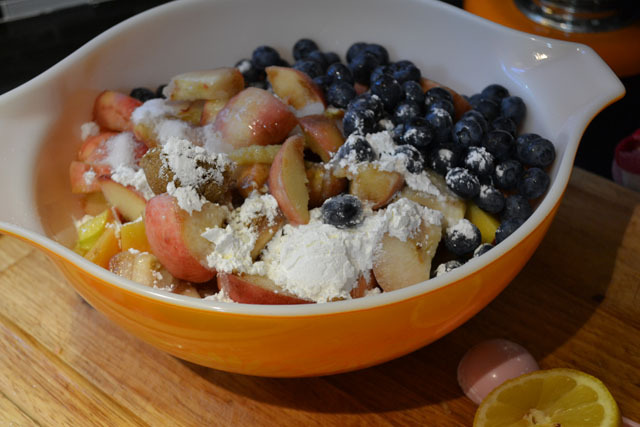 Stir together the peaches, blueberries, 1/3 cup of the granulated sugar, cornstarch, brown sugar, lemon juice, ginger, and a pinch of salt in a large bowl. 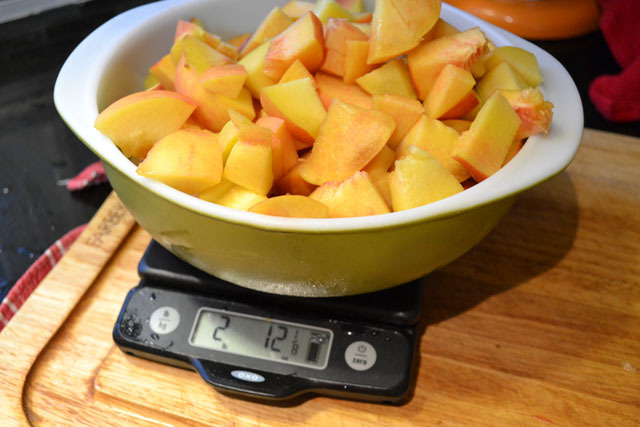 Transfer to a 12-by-8 1/2-inch (2-quart) baking dish; set aside. Scrape vanilla bean seeds into the cream; stir with a fork to combine. Discard pod. 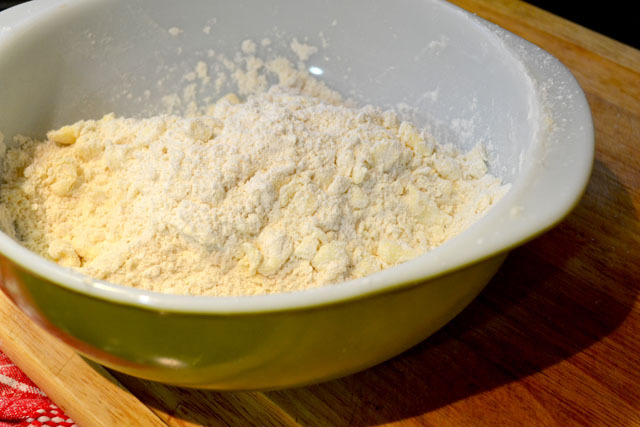 Add the cream mixture to the flour mixture; stir until a soft, sticky dough forms. 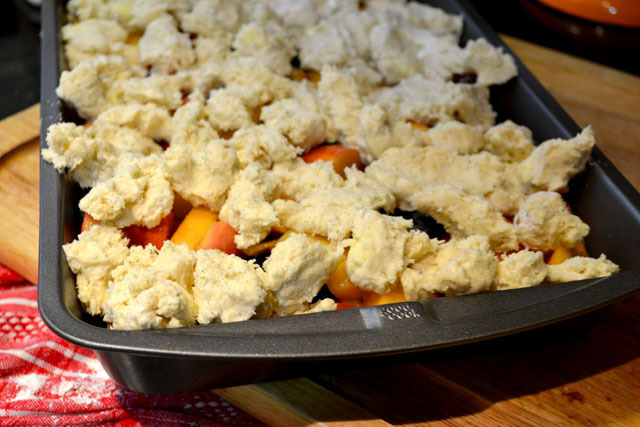 Drop small pieces evenly over the entire cobbler. Brush the top of the dough with cream, and sprinkle with sanding sugar. Place a parchment-lined baking sheet on the bottom rack to catch any overflow juices. 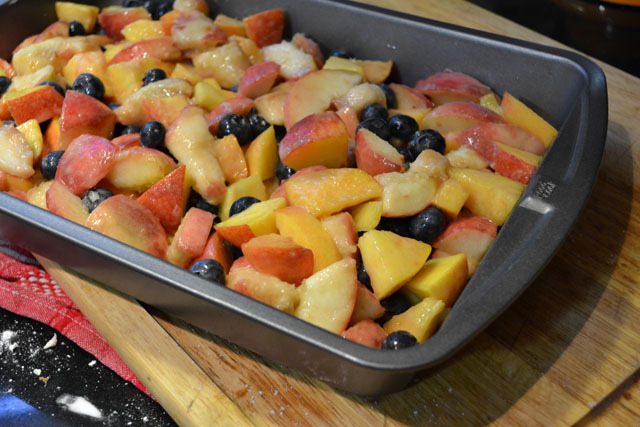 Bake the cobbler on the rack directly over the baking sheet until topping is golden brown and juices are bubbling, 55 to 70 minutes. If the topping is browning too quickly, cover loosely with foil. Let cool on a wire rack 1 hour before serving. The past few weeks of milkshakes for our Thirsty Thursdays posts has left me with ice cream on my mind. I’m not actually a big ice cream person though. So Price was really enjoying the milkshake month! But ice cream every now and then is just so damn good! And what’s even better than ice cream? 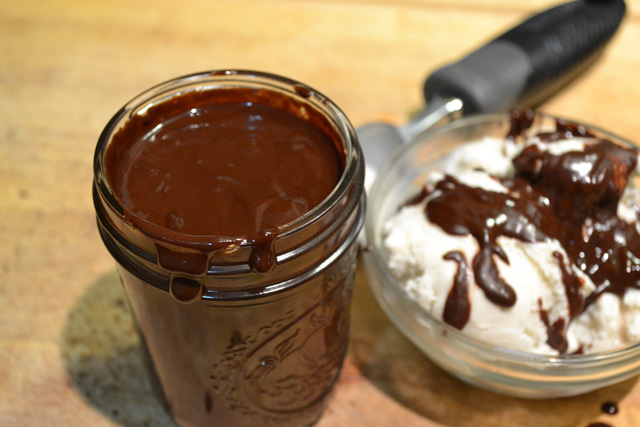 Ice cream with a homemade chocolate sauce!! What’s even better than that? 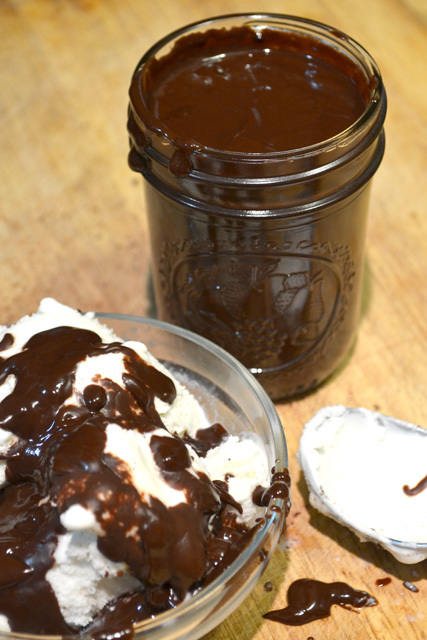 Ice cream with homemade bourbon chocolate sauce!!!! This weekend’s Sprint Cup night race in Kentucky calls for bourbon. Obviously! So I had to make something with bourbon for this week’s Sprint Cup Snack but with my inability to drink now requires me to put a spin on things instead of just making a drink. I had been thinking about a bourbon chocolate pie but then that developed into making a Bourbon Chocolate Sauce. Ah, I could just imagine enjoying some ice cream with this chocolate sauce while watching the cars zipping around the track. In a small saucepan over medium heat, combine the heavy cream, brown sugar, and bourbon. Stir until sugar dissolves and cream just starts to boil. Remove from heat, add chocolate and vanilla extract, stir until smooth. Serve immediately. Save extra in a heat safe, airtight container and store in the refrigerator for up to a week. To reheat the sauce, heat in a microwave safe container on DEFROST for 10-20 seconds or warm slowly on the stove top. Amanda picked peppermint for this week’s theme Thirsty Thursday. I honestly can’t stand peppermint outside of the holidays. However, from the day after Thanksgiving to New Years it is full on peppermint explosion. But then nope, not happening at all (with the ice cream exception)!!! So bare with all of my minty recipes now, including this recipe for Peppermint Hot Chocolate Truffle Balls. When I was younger I would take Godiva hot chocolate truffles and put them into cups of hot milk and stir like crazy so melty ribbons of chocolate would swirl around the cup before I would take a big gulp. It was my favorite thing to do at my dad’s house at the holidays. Since I made a hot chocolate mix last week I figured I would make a hot chocolate truffle for this week to transport me back in time. While you can make these hot chocolate truffle balls like me with peppermint extract and Andes Peppermint Mint Chips on the outside, you can make them in a variety of ways. A plain truffle would be nice with a sugar and cocoa powder mixture on the outside. A truffle with some cinnamon extract and a cinnamon and cayenne mixture on the outside for a Mexican hot chocolate. Use a orange, hazelnut, or raspberry extract without coating. Really the flavor possibilities are endless!! I hope that you enjoy my Hot Chocolate Truffles as well as Amanda’s Peppermint White Hot Chocolate. The peppermint and chocolate combination is such a hit that we both featured the peppermint in hot chocolates, but in very fun, very different ways. 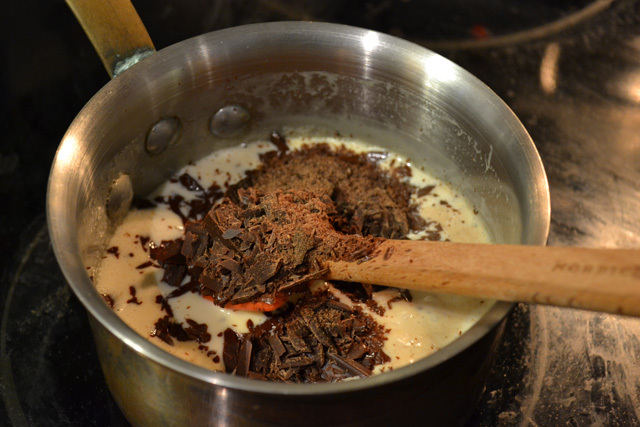 In a heavy bottom sauce pan or in a double boiler, melt the chocolate, cream, sugar, and salt together on low heat. Whisk consistently until smooth. Add the peppermint extract prior to removing from heat. Let the chocolate cool to room temperature and then put into the refrigerator to completely chill. Once solid, scope out into 12 truffle balls onto a parchment lined baking sheet. Chill again for at least 30 minutes. Roll the chocolate into balls, then chill again until completely solid and formed. Push the Andes mint chips into the surface of the ball. Stone in the refrigerator for 1 week. Enjoy your hot chocolate truffle with 8 ounces of hot milk. Drop the truffle in and stir until the ball has melted.